The Technovation Challenge is the Bay area chapter of Iridescent (a non-profit education group that links mentors to students) in partnership with Girls in Tech. Over the course of an eight week program, 45 high school girls and 25 mentors worked in teams to create an Android app from scratch and build out a marketing plan. 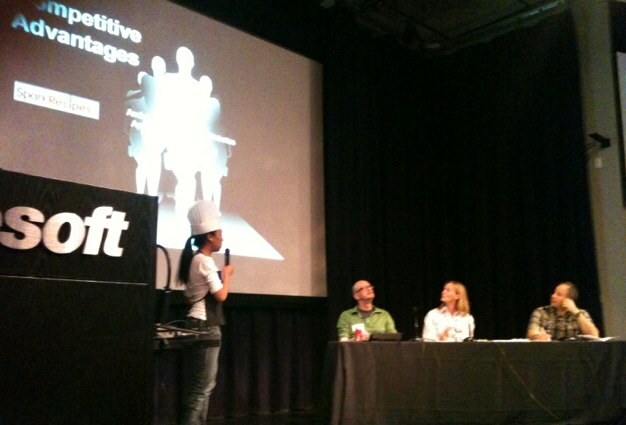 The program culiminates in “Pitch Night,” an event held this evening at the Microsoft campus in Mountain View. The teams presented their apps and business plans to a panel of business leaders, consisting of Katherine Barr of Mohr Davidow Ventures, Mendel Rosenblum co-founder of VMWare and Adeo Ressi of The Funded. It’s a small program with grand ambitions: to close the huge divide between women and men in Silicon Valley. For all the progress in Silicon Valley, the proportion of male to female founders remains grossly skewed. According to Dunn and Bradstreet data, of the tech firms founded in 2004 only 3% were founded by women. Unfortunately, not much has changed in the last six years. When you think of the top tech leaders, you think of Steve (Jobs, Ballmer), Eric, Ev— the Carol Bartzs, Diane Greenes are the obvious exception, no where near the rule. The winner of the competition was team Zeal, with an app called Mash, inspired by the classic childhood fortune-telling game, you input potential outcomes and the results can be posted on social media sites like Facebook and Twitter. The team won $1,000 per student in college savings bonds, $25,000 to develop the app from MobMark and $5,000 in advertising from AdMob. The second-place winner, which I thought was very promising and well articulated, was team Creanova with Piano Mania. 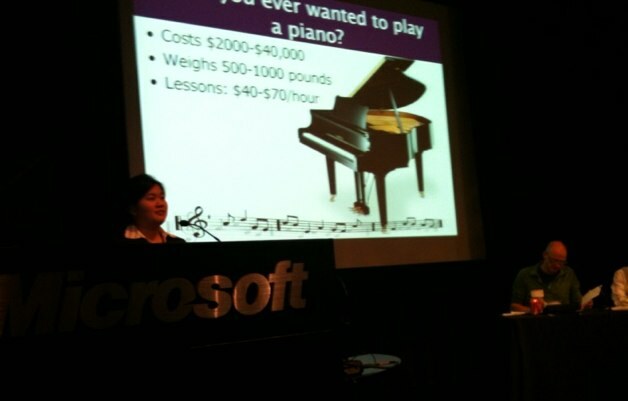 The simple $0.99 application merges education and entertainment by helping users learn how to play the piano through games. The team clearly outlined the competitors, product differentiation and showed the different layers of the app (the first level show the letters of each key, prompting the user to tap those keys, letters disappear as you graduate to the next level) and possible add-ons (two-player games, additional songs). All in all, it was one night, a handful of pitches, for many apps that will never reach the market, but its certainly a step in the right direction.